Using a chip, such as the 4-Bank SCT Eliminator Chip, can be the most straightforward choice, because a chip plugs directly into the J3 port on the ECU that came with your car. Has a switch that allows for instant tune changing (say, if you're about to be in a drag race). Can be fitted with a bezel so it will mesh with the look of your car. Has to be removed from car and returned to manufacturer in order to add or edit installed tunes. 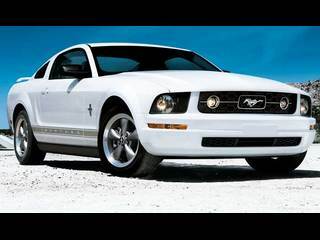 Unlike chips, these are handheld devices that overwrite, or "flash," the existing tuning settings in the computer of your Ford Mustang , much like flashing the firmware on an mp3 player or PC. These tuners are plugged into the OBD II port, which is found on the driver's side of the car, beneath the dash. They come in two basic types, "strategy" and "custom." Custom Tuners Custom tuners like the Livewire, X-Calibrator 2, and X3 Powerflash allow a certified programmer to adjust as many as 3,000 different variables (depending, of course, on the specific model and year of your Mustang), each of which is created specifically for your car. Each tune will take into account any previous modifications you have done, so even highly modified used and new cars, even those that have been turbo-charged, can be custom tuned to your desired specifications. Custom tuners include the ability to make end-user adjustments to things like gear ratio and Air/Fuel ratios, and can also be adjusted very precisely to accommodate specific weather or road conditions. For your safety, most custom tuners retain your original settings (downloaded the first time you plug it in), for later reversion. They also lock to the VIN number on your car, so no one else can use them. The downside of custom tuners is that they only hold three tuning profiles, and they have to be programmed by licensed SCT programmers. As well, if your Mustang is turbo- or super-charged, you need to find an SCT programmer with a dynamometer. Strategy Tuners Strategy Tuners, on the other hand, contain a selection of popular stock tuning profiles, for Mustang drivers who need control, but not custom settings. They have fewer end-user settings that can be adjusted, but if you have experience with Mustang tuning you can still accommodate settings for your bolted-on modifications. They also allow some adjustment for weather, road, and fuel injection changes. The cons of selecting this kind of tuner include the fact that you really need to know what you're doing before you make changes. 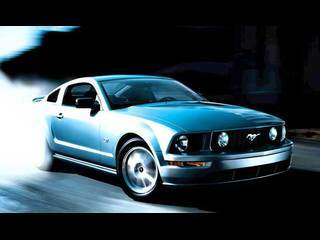 However, they can be moved from car to car - so if you bought a tuner for one car, and have since purchased a new one, as long as the first car was flashed back to it's original tuning, you can re-tune your tuner for the new Mustang in your possession. Sources like AmericanMuscleCar.com also offer hybrid tuners that merge some of the features of both custom and strategy tuners, and can be easier for beginners to use. Selecting a tuner, or choosing chips over a tuner, is only just one step toward a truly customized Mustang. Still, by starting with the computer, you can get a taste of customization both quickly and cleanly. What is your opinion about Ford ECU chip tuning ?